Gerd Kanter has finally done that - he qualified for European Championships that will be held in Berlin this summer. Gerd had a successful weekend with 2 meets that surpassed the qualification mark. 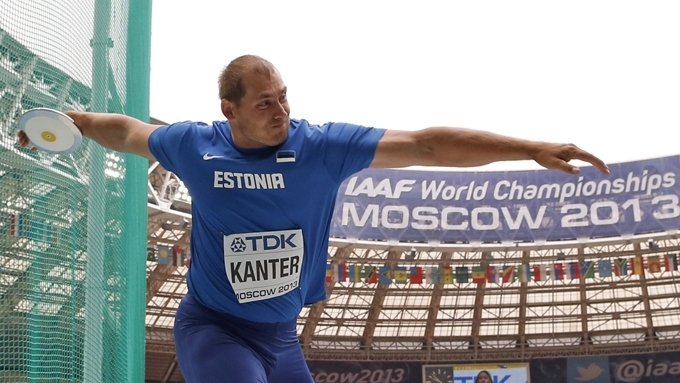 On Saturday he threw 64.42m in Tallinn and on Sunday won a meet in Poland with another SB 64.46m. Gerd has been participating major championships since 2002, where he competed at EC Munich. So now, 16 years later, he will finish again at EC in Germany. 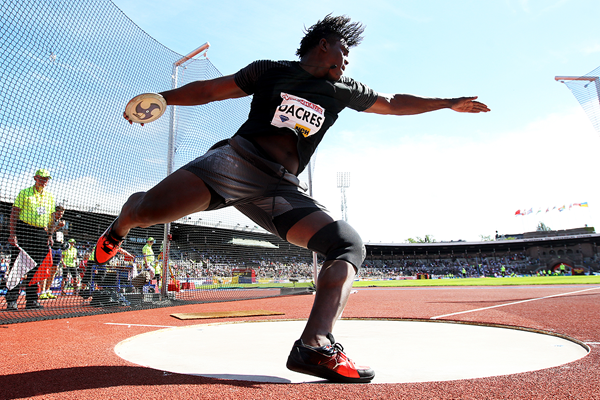 Stockholm Diamond League produced some crazy results in 2018 edition - Jamaican Fedrick Dacres took his 2nd win at Diamond Race this season - on 2nd roundm he threw 69.67m. This is teh new Jamaican National Record, World Lead and also Stockholm stadium record - Mac Wilkins hold the stadium record before 69.46m, as he is coaching Ehsan Hadadi, then he was also on the stadium to witness the new record. 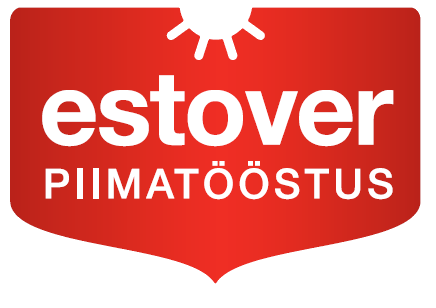 Andrius Gudzius had another Personal Best 69.59m, and that gave him the 2nd position. Andrius had now 3 over 69m meets within last week. Just yesterday Andrius Gudzius won the Diamond League in Oslo with a high level 69.04m - today he competed in Chorzow Poland and won the meet with new PB and WL 69.30m. Ehsan Hadadi was 2nd like yesterday with 66.68m, followed by Robert Harting SB 65.13m, Piotr Malchowski 64.10m, Robert Urbanek 61.75m and Gerd Kanter 60.83m. Diamond Race continued today in Oslo Norway. Weather was super warm and stadium was sold out. 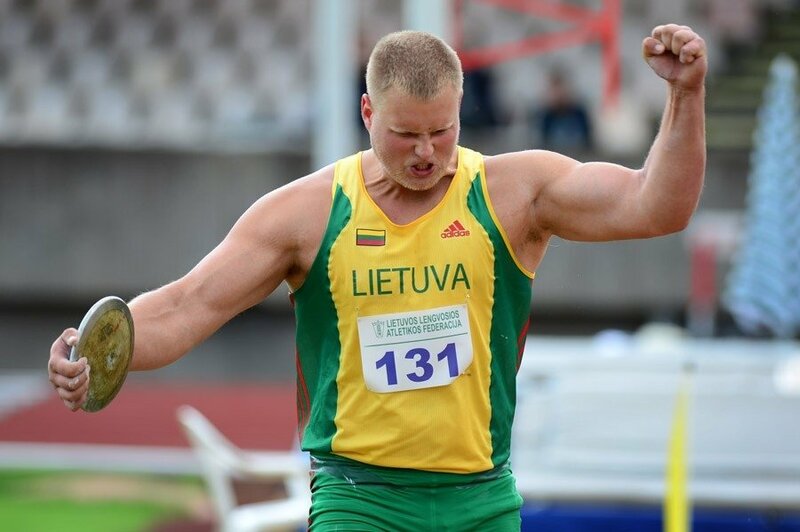 Andrius Gudzius won the men discus with 69.04m throw - World Champion also had 69.00m throw in the series. Second was Ehsan Hadadi 67.55m, followed by Daniel Stahl 67.04m, Christoph Harting 65.68m, Mason Finley 65.16m, Philip Milanov 64.40m, Daniel Jasinki 63.94m and Fedrick Dacres 63.85m. Diamond Race continues already on Sunday in Stockholm. Today started the Diamond Race 2018 for men discus at the Rome Olympic Stadium - meet started strong from the first round, where Fedrick Dacres thre 66.59m and Andrius Gudzius 68.17m. Dacres responded in the 2nd round with 68.51m and that was enough for the win. Both Gudzius and Dacres had few throws over 67m in the series as well. They were followed by Ehsan Hadadi 65.93m, Daniel Stahl 64.84m, Robert Harting 64.64m, Mason Finley 64.1m, Lukas Weisshaidinger 64.16m and Robert Urbanek 64.10m. Olympic silver Piotr Malachowski was left in 9th position with SB 63.95m. Legendary Ludvik Danek Memorial competition was held today in Turnov. Jamaican Fedrick Dacres won the meet with a high-level 68.35m throw. Dacres also had 67.02m and 66.59m in the series, also a huge sector foul. Dacres was followed by Daniel Jasinski 66.59m, Piotr Malachowski 64.84m, Martin Wierig 64.01m, Robert Urbanek 63.88m and Marek Barta 60.33m.